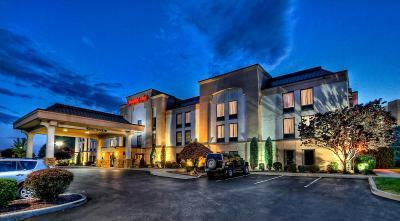 Lock in a great price for Hampton Inn Greensburg – rated 9.4 by recent guests! Beds were very comfy. I especially loved the pillows!! The room was great and the bed and pillows were so comfortable. Breakfast was so good. The updates they are making to the decor is very promising. Staff that I did encounter were very friendly. Room was spacious and clean. Bed was very comfortable. Quiet hotel that allowed for rest and relaxation. For our stay in Greensburg location was perfect. Staff was friendly, very clean. The bed was soo comfortable! First of all, your front desk staff, the 3 that we encountered during our stay, were all very friendly, helpful and sincere. Secondly, we really loved our bed mattress. What type of mattress was it? We'd like to buy one for our bedroom, it was that comfortable. We also enjoyed your complimentary breakfast! Nice hotel, attentive staff convenient location to the concert we attended. Great free breakfast. 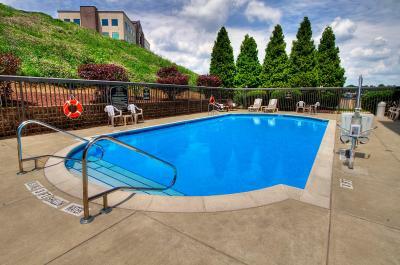 Hampton Inn Greensburg This rating is a reflection of how the property compares to the industry standard when it comes to price, facilities and services available. It's based on a self-evaluation by the property. Use this rating to help choose your stay! 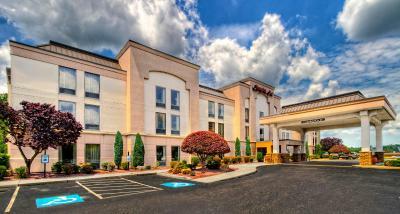 Hampton Inn Greensburg is located in Greensburg, 2.6 mi from Seton Hill University. Private bathroom also comes with a shower. Saint Vincent College is 8.2 mi away and Westmoreland Regional Hospital is 3.1 mi away. Fort Ligonier is 18 mi away while Idlewild and SoakZone is 16 mi away. Pittsburgh International Airport is 40 mi away. 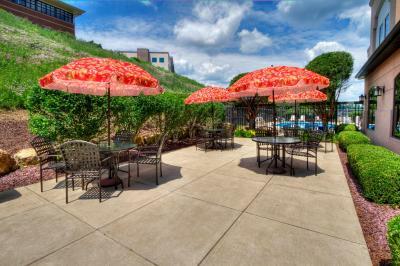 This property also has one of the top-rated locations in Greensburg! Guests are happier about it compared to other properties in the area. This property is also rated for the best value in Greensburg! Guests are getting more for their money when compared to other properties in this city. When would you like to stay at Hampton Inn Greensburg? 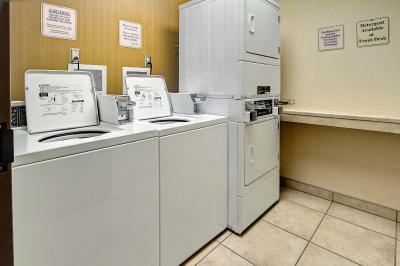 Welcome to Hampton Inn Greensburg, located only a short drive from Westmoreland Mall and Twin Lakes Park. The University of Pittsburgh Greensburg and Seton Hill private college are close by as well. While you are here, enjoy our complimentary hot breakfast and free WiFi. Stay fit in our fitness center and take a dip in our outdoor pool. House Rules Hampton Inn Greensburg takes special requests – add in the next step! Hampton Inn Greensburg accepts these cards and reserves the right to temporarily hold an amount prior to arrival. The property was clean and inviting. No one was there to greet us at the front desk when we arrived. We waited approx. 10 minutes and no one showed up. My husband went up and down the main floor hallways and knocked on the office door looking for someone to check us in. Finally just gave up, downloaded my digital key instead, and went up to the room. The drain in the tub/shower was hard to keep open. It kept wanting to close. Pretty good complimentary breakfast - 3+ types of yogurt, a working waffle maker (with chocolate chips!) and biscuits... not the best breakfast I’ve ever had but definitely a good one! Roim was worth 89 not 189. Bed was comfy and liked tbe Neutrogena products.